Welcome to 2011! I must admit that my excitement has nothing to do with the new year. See, after two and a half months, I'm finally wearing my SpongeBob SquarePants pajamas and blue striped toe socks again. In fact, I'm wiggling my individually-socked toes in sheer happiness as I sit here. Remember this? Well, it ended up lasting longer than we expected. Much longer. Which meant that for months, my favorite pajamas and socks remained packed away. But we finally moved into our own place in the city. A real live city. With bustling traffic, an apartment the size of a small walk-in closet, and our very own ugly naked guy. And out came the pajamas and socks. See, the hubster and I have diametrically opposite moving styles. The first picture reflects his "I'm an engineer and I like order" style of packing. I mean really, who bubble wraps each magnet? The second picture reflects my "I just want to be done with this as soon as possible so I'll unwrap everything and hope it puts itself away" style of unpacking. Needless to say, I have an equally haphazard "throw everything in a box, slap on a vague sort of label, tape the box, and deal with the contents come opening time" style of packing. So basically, unpacking was a bit of a comedy of errors. Every time I opened a hubster-packed box, all crazily bubble wrapped and perfectly sealed, I threatened to quit unpacking and every time the hubster opened one of my "creatively packed" boxes, he launched into yet another one of his "let me extol the virtues of packing well" lectures. There were many moments where we were on the brink of a ferocious arm wrestling match to settle the packing debate once and for all... except well, there was no room to arm wrestle. Bottom line, unpacking the kitchen took longer than we expected. Especially once we realized the kitchen only has three drawers. Three small drawers. Needless to say, we no longer have a linen closet but rather, a kitchen overflow closet. If you're planning on coming for an overnight visit, bring your own sheets and towels because that space is currently being used by my dutch oven and cast iron skillet. Sorry. By the time mealtime rolled around, we were ready for something comforting. And nothing says comfort like noodles. Especially noodles charred in a hot pan, edges crispy with soy and spice. Enter Pad See Ew. Now, I've eaten my fair share of Pad See Ew everywhere from sit-down Thai restaurants to standing in front of noodle carts in Thailand and every single cook has said the same thing. The secret lies in the searing hot pan. The super high flame gives you those delicious charred bits of flavors. Well here's the thing, you won't get a searing hot pan in a tiny apartment kitchen with a wonky electric stove. But you'll get a decently hot pan and if you don't move the noodles around too much, you'll get some decent flavor masquerading as charred bits. This dish is truly a one-plate wonder. 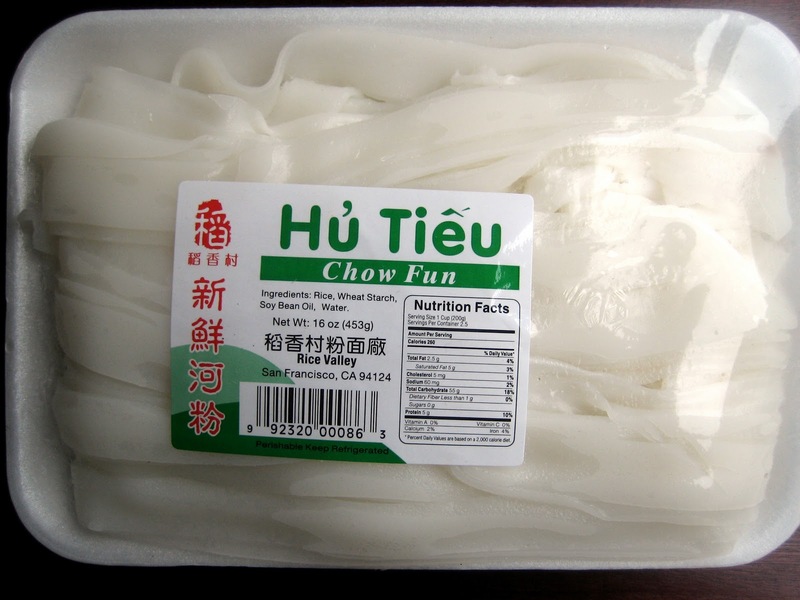 First, find some fresh rice noodles at your local Asian market. Mine sells a pound for about two bucks and I don't want to know how or why they are so ridiculously cheap. If you know why, please don't tell me. I'm perfectly happy with my ignorance. Second, grab some veggies. If you're feeling fancy, use gai lan, or Chinese broccoli. If you're feeling too tired to get fancy, use regular broccoli, sugar snap peas, carrots, mushrooms, or any other vegetable you have on hand. Third, find a couple of eggs. Fourth, buy a bottle of kecap manis or sweet soy sauce. I'm guessing you could use soy sauce and sugar as a substitute but I'm unwilling to mess with what I know works. 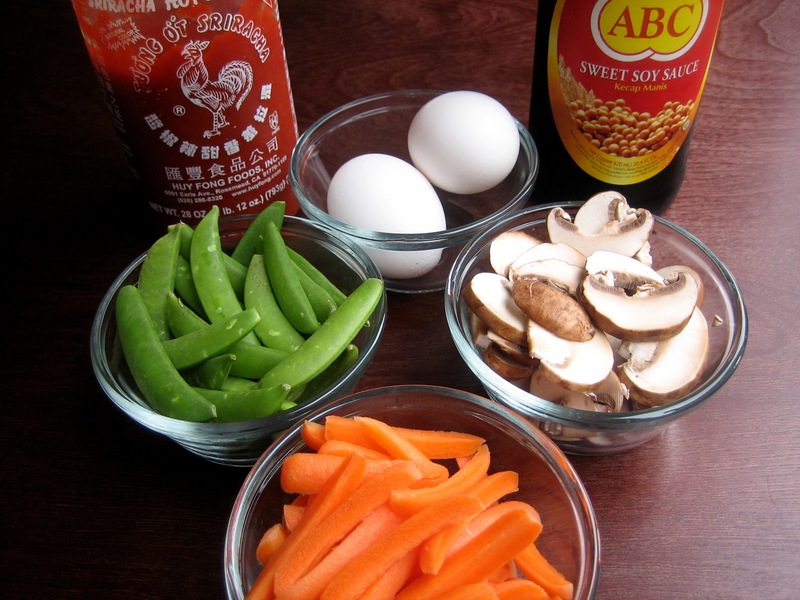 Fifth, mix all your ingredients together (in stages) and revel in the deliciousness that is stir fried noodles. Eaten in the comfort of our new place (newly free of packing boxes), the hubster and I agreed Pad See Ew is a dish fit for organized and disorganized packers alike. No arm wrestling needed. Separate rice noodles. They should be fairly pliable if fresh but if they do not separate easily, soak them in hot water for a minute. In a small bowl, mix four tablespoons kecap manis, four tablespoons soy sauce, and two tablespoons Sriracha and set aside. Heat oil in pan. Add garlic and fry until light golden. 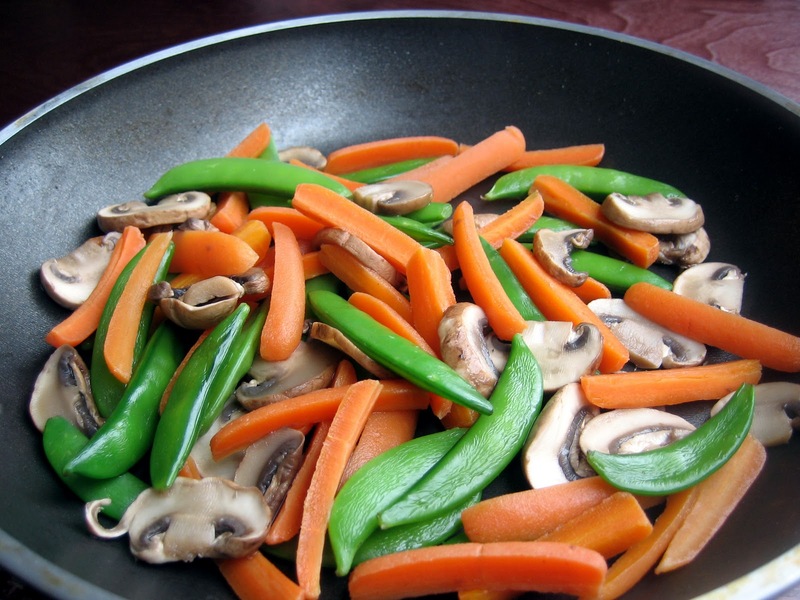 Add vegetables, season with salt and pepper, and stir fry until tender-crisp. Move to the side of the pan. Add more oil and when hot, add the noodles. Stir fry for one minute. Pour the prepared sauce on top of the noodles and mix thoroughly. Let the noodles sit in the hot pan for a few minutes until you can smell a slight charred smell. Do not continue mixing the noodles during this stage because you want them to develop the charred flavor bits. Once the noodles are charred around the edges, move the entire mixture to the side of the pan and scramble the eggs. Add the cooked chicken, mix thoroughly, and stir fry for one minute. Season with salt and pepper and serve immediately. *Many recipes will have you cook the chicken first and move it to the side of the pan and then add the remaining ingredients. I have found the chicken gets a bit overcooked if it's already in the pan when I'm cooking my vegetables so I cook it separately and add it at the end. You can, of course, start with cooking the chicken and leave it in the pan as you add the remaining ingredients. This looks like a great meal. I'll have to pick up some kecap manis, I've never heard of it before. Congratulations on the new place free of packing boxes! Congratulations on making it through the experience without any homicides or suicides. Ya'll done good. The Pad See Ew looks delicious. I'm glad I read through all the ingredients and instructions because the name would have had me running in the other direction. Congrats on a successful move, a somewhat successful unpacking and on acquiring your very own Ugly Naked Guy! :) Pad See Ew sounds like a perfect way to celebrate. And my condolences on your lack of kitchen space. I can totally relate... one of my old apartments had two small cupboards and no drawers (and no linen closet, either). Cheap Ikea shelves totally saved my bacon. Your packing styles are hilarious. That is so me and my husband. 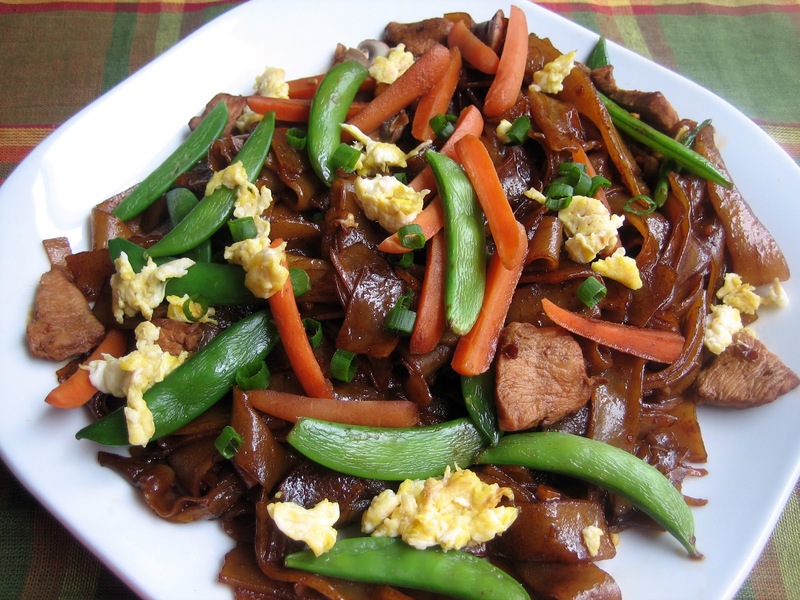 The Pad See Ew looks so delicious. I am all for one pot meals during the hectic winter months. This recipe will be bookmarked fo sho. I like the creative packing method. Having to unwrap each thing in bubble wrap would drive anybody mad. This looks delicious, but my question is where does one get kecap manis? I'm glad you're back in your Sponge Bob pjs-yayyy! 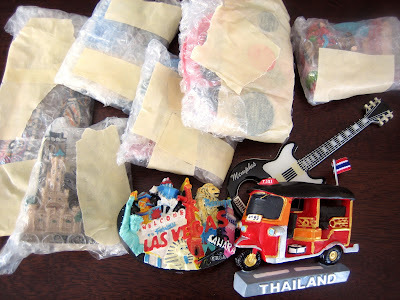 You are awesome Azmina but I must say that I am with your hubby on this one - I am a very methodical packer and one can NEVER utilize too much bubble wrap. Never. Ali's idea of packing is to pull out a drawer, dump all the stuff in a box, and reverse the process at our destination. Needless to say he is not allowed to participate in packing. Why have I never thought to make rice noodles? I can eat rice noodles! Thank you for saving me from my meal rut with this wonderful recipe!! PS - next time we come to your neck of the woods I'm dropping Maya off at your place so you can compare your Sponge Bob pajamas. She'll be in heaven. 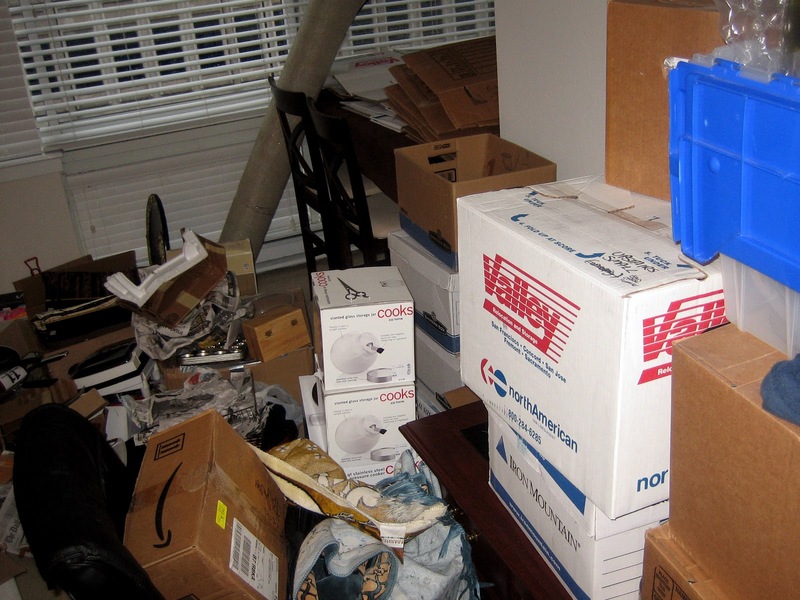 Ha, you and your husband sound exaclty like us packing - I have the most mis-matched boxes while his are perfeclty organized and sealed! Moving is never easy, but that moment when you are finished unpacking is pretty divine. BTW--while we are shockingly blessed with cabinets despite it being NYC and all, we definitely cover a lot of space with our stuff, like the fridge, walls, etc. A walk through IKEA can be absolutely inspiring--it's amazing how much they can cram into the showroom cubes! That dish looks like the perfect comfort meal without the guilt--I'll have to save this for a time when we need something new, warm and yet healthy during the week! congrats ! on the move. i pack exactly the way your husband does. in fact i boxed our christmas stuff the same way. those noodle sure look very comforting after all the hard work. i really love the noodles!! looks so yummy! thanks for sharing this and happy new year to you and your family. Congrats on moving to the city, Azmina! Noodles are comfort food for me, too, and kecap manis is such an awesome ingredient. And those crispy bits, that's the best part. Hi Azmina! Congrats on your move to the cit-ay! Sooooo, when can we hang out? :) Maybe you can come to an 18 Reasons event (I volunteer there) or we can set up a food blogger meet up soon. Hope you get settled in quickly so you can start enjoying the city! Congrats on unpacking! We unpacked the last two boxes tonight. You know, the ones you hide in the corner until you can't ignore them anymore. I laughed so hard at the opposite pack/unpack styles. Totally get that! Great one-plate wonder! OMG am drooling drooling drooling- must find rice noodles NOW! I've been searching for a good recipe for Pad See Ew and will be heading to the store to get the ingredients for this tomorrow- no joke! Thank you!!!! 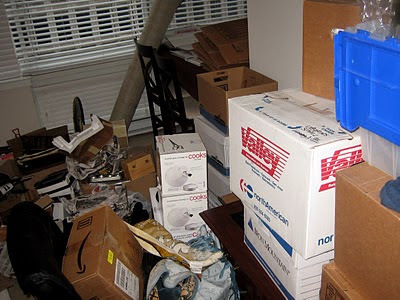 I clump everything that fits together, but I label ruthlessly--helps to know which room to have the box deposited in and the contents right away. Also, always pack an "open first box". Ahhh warm tootsies is what it's all about---I have thick woolen socks from Himachal which I have worn down to the bone--have to restock soon. Woo hoo- finally! now it's time to get down with your bad self and party it up SF-style. May pad see ew be the start of many great domestic things to come in your new place. Happy New Year, love. That packing story is Hilarious! I'm afraid I'm more like your husband (maybe not quite as extreme ;) and my husband is uber unorganized and drives me crazy when it comes to stuff like this!! Oh well, opposites attract! This dish looks soooo sooo wonderful and I will have to squeeze it into this weeks meal plan for sure! Thanks for the tips on making it yummy! Good Luck w the unpacking! So glad you were finally able to unpack everything and really enjoy your new place. Although, I'd have to say I'd probably drive you crazy with my packing too. The terms "scratching" and "breaking" don't exist in my vocabulary when I pack ;-). What a great dish to celebrate your finished unpacking job with too. Pad see ew is one of my favorite Asian comfort foods. Yours looks delicious. I love how you're so versatile and can cook any ethnic dish. Happy 2011 Azmina! Happy New Year, and enjoy your pajamas and the big city! I love this recipe. I am not a veggie fan, and I happen to love all the veggies you used. So great! Oh yay! I'm so glad that you are back in a real city. We felt the same way when we moved from Co Springs to Austin (but we still want to end up somewhere "bigger") I loved hearing about your packing styles. I can completely relate, and I most certainly would join your camp. This pad see ew looks so fresh and flavorful. What a great meal. Thank you for sharing this plate of wholesome goodness. I hope you have a beautiful Hump Day! Well, fortunately we live in the land of readily available Asian ingredients of all kinds! This looks awesome!! Pad see ew is my favorite dish to order when I'm getting Thai. Yipee for unpacked boxes, regardless of how they were packed or emptied....they are gone!!! Living in Smalltown, AZ, I have no hope of finding any of the wonderful ingredients you have used in your Pad-See-Ew. If, however, you are in need of some cactus, come see me! I love pad see ew but have nevermade it myself. Thanks for the tip on the hot pan. This looks perfect! Girlie, you had me at "pad." This looks incredible! I'm glad you are finally getting settled, moving is such a headache! I am an exact copy of you when it comes to packing..I just have to get the stuff into the box whichever way and remove it from infront of my eyes! And when it comes to unpacking...I wanna do it it one go..even if it requires staying awake whole nite..my hubs calls me "extreme" & I call him "crazy"..LOL! Your thai take on noodles looks yum!I love the egg "bhurji"u have put it on it! Happy New Year..Hope u become comfortable in the city soon! Oh my gosh, that looks so good! I love that your hubby wrapped each magnet! too funny. I'm so happy that we have an Asian market nearby so I can go and find all these goodies to whip this up! We're thinking about going to Thailand for our honeymoon :) looove it!